You can use a diagram to visually represent how different devices obtain connection to the Internet. 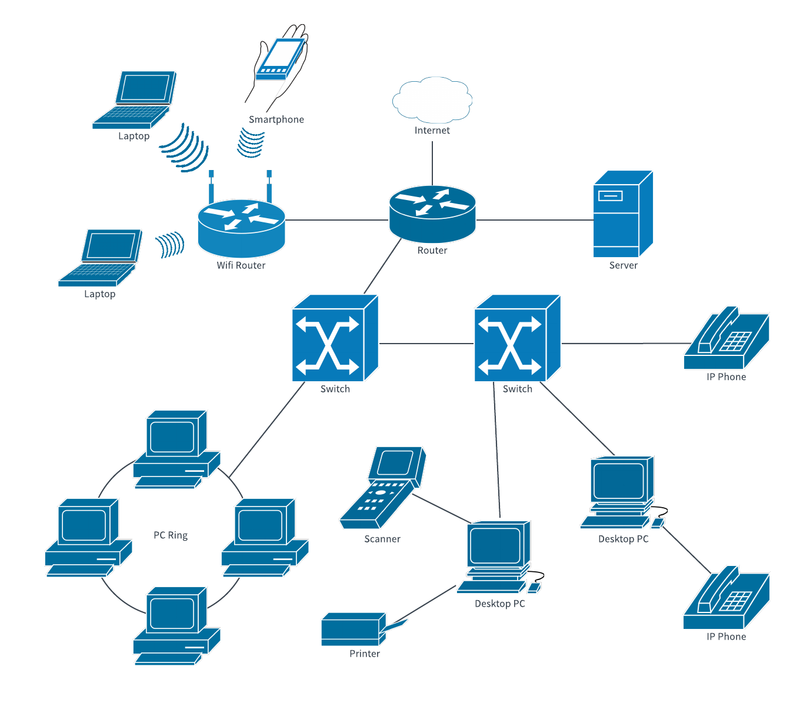 An Internet network diagram can help to keep track of the interactions between devices and to identify connectivity issues as they arise. Use this Internet network diagram template when you sign up for a free Lucidchart account. Edit it to map out your network.